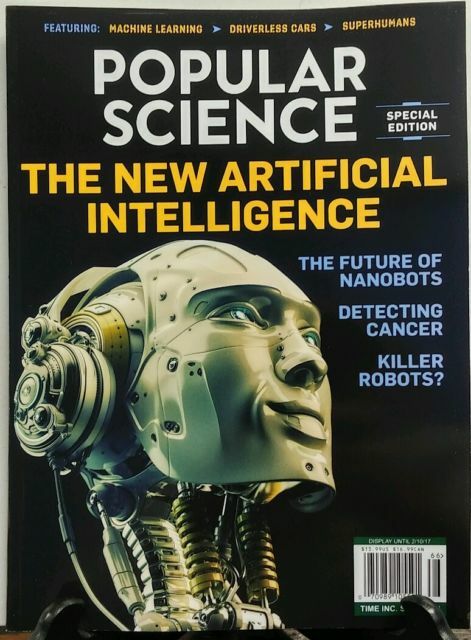 While I was waiting in line to check out at the store, I thumbed through a special edition of Popular Science on the magazine rack. 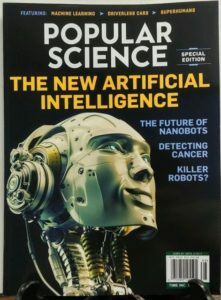 Popular Science – The New Artificial Intelligence. The New York Times Magazine recently published a feature, The Great A.I. Awakening, about how Google used artificial intelligence to transform Google Translate, one of its more popular services — and how machine learning is poised to reinvent computing itself. More and more I see news articles appearing on this topic, but our political leaders appear to be entirely unaware, uninformed and unconcerned about rapid advances in technology replacing human labor. They do not even talk about this subject, let alone offer any plans or policies to deal with the economic disruption caused by rapidly advancing technology. Instead, we just held an election in which Appalachian coal country voted for Donald Trump because he told them that he could bring back 20th Century coal mining jobs that disappeared years ago and are never coming back. It was a cruel hoax for which all of us will now have to suffer the consequences. The Washington Post recently reported, Artificial intelligence could cost millions of jobs. The White House says we need more of it. The growing popularity of artificial intelligence technology will likely lead to millions of lost jobs, especially among less-educated workers, and could exacerbate the economic divide between socioeconomic classes in the United States, according to a newly released White House report. But that same technology is also essential to improving the country’s productivity growth, a key measure of how efficiently the economy produces goods. That could ultimately lead to higher average wages and fewer work hours. For that reason, the report concludes, our economy actually needs more artificial intelligence, not less. To reconcile the benefits of the technology with its expected toll, the report states that the federal government should expand access to education in technical fields and increase the scope of unemployment benefits. Those policy recommendations, which the Obama administration has made in the past, could head off some of those job losses and support those who find themselves out of work due to the coming economic shift, according to the report. The White House report comes exactly one month before President-elect Donald Trump is sworn into office, meaning Obama will need his successor to execute on the policy recommendations. That seems unlikely to happen, especially as far as unemployment protections are concerned. Congressional Republicans already aim to curtail some existing entitlement programs to reduce government spending. Rolling back Social Security protections for out-of-work families “would potentially be more risky at a time when you have these types of changes in the economy that we’re documenting in this report,” Jason Furman, the chairman of the Council of Economic Advisers, said in a call with reporters. Research conducted in recent years varies widely on how many jobs will be displaced due to artificial intelligence, according to the report. A 2016 study from the Organization for Economic Cooperation and Development estimates that 9 percent of jobs would be completely displaced in the next two decades. Many more jobs will be transformed, if not eliminated. Two academics from Oxford University, however, put that number at 47 percent in a study conducted in 2013. The staggering difference illustrates how much the impact of artificial intelligence remains speculative. While certain industries, such as transportation and agriculture, appear to be embracing the technology with relative haste, others are likely to face a slower period of adoption. “If these estimates of threatened jobs translate into job displacement, millions of Americans will have their livelihoods significantly altered and potentially face considerable economic challenges in the short- and medium-term,” the White House report states. Those same studies were consistent, however, when it came to the population that would feel the economic brunt of artificial intelligence. The workers earning less than $20 per hour and without a high school diploma would be most likely to see their jobs automated away. The projections improved if workers earned higher wages or obtained higher levels of education. Jobs that involve a high degree of creativity, analytical thinking or interpersonal communication are considered most secure. The report also highlights potential advantages of the technology. It could lead to greater labor productivity, meaning workers have to work fewer hours to produce the same amount. That could lead to more leisure time and a higher quality of life, the report notes. To that end, the report calls for further investment in artificial intelligence research and development. Specifically, the White House sees the technology’s applications in cyber defense and fraud detection as particularly promising. The New York Times reports today, The Long-Term Jobs Killer Is Not China. It’s Automation. Yes, but those caregivers are among the lowest paid workers, and the Arizona Chamber of Commerce is currently in court trying to block Arizona’s minimum wage increase (Prop. 206) on behalf of the nonprofit agencies that employ these caregivers. The nonprofits say that unless the state of Arizona increases its reimbursement rate to cover the cost of the new minimum wage increase, they may not be able to stay in business, which means that low paid caregivers are at risk of losing their jobs, only because of the ideology of our Tea-Publican controlled Arizona legislature. In 1905, 95% of us worked on farms and 95% of those were destined to be replaced by technology and innovation. Since 1905 a greater percentage of the population has gone to work in each subsequent decade. In the last 30 years, 40% of all bank tellers have been replaced by ATMs yet today there are 30% more tellers. The biggest innovation is yet to come, education will quintuple in productivity opening up all occupations to 95% of all children born at a fraction of the cost. Reagan’s tax cuts have been in place for 36 years. I think we can get an idea if they worked. Just look at these numbers: USA has increased work by 87 billion hours while France dropped by over 3 billion. In 1980, the countries of the European Union had a gdp 35% greater than the US while today we have a gdp 20% greater than them. Trump’s plan to reinstall and perhaps outdo the original Reagan rates is apparently being valued by the stock market at something between $2 trillion and $8 trillion. Are we better off for all the GDP and work that we’ve produced? Are we happier for it? Also, for all the growth we have in GDP, the poverty rate in 2015 is now 0.1% higher than it was in 1980. Those gains don’t seem to be noticeably appreciating to the middle and lower classes, for all the good that massive tax cuts combined with welfare reform were supposed to provide. I worry about whether the American economy will be able to adapt to a paradigm commonly expected during the current century where we are in post-labor-scarcity and unskilled labor has no value at market equilibrium. You seem to be more concerned about cheerleading about how capital ownership is going to become more valuable as a result. In 1905, 95% of us worked on farms and 95% of those were destined to be replaced by technology and innovation. Yet, somehow, all those people and far, far, more found jobs. Say’s law at work. The biggest innovation is yet to come, education will quintuple in productivity opening up all occupations to 95% of all children at a fraction of the cost. Are these actually useful and productive jobs, or are these wasteful middle management positions and bureaucratic government jobs which serve no purpose except to satisfy the regulations which you believe to be unnecessary? Also, I think it’s just a wee bit hypocritical that you talk up a big game on the one hand about creative destruction as a positive thing, and then cry that the minimum wage and carbon regulations are going to destroy jobs and put people out of work as a result of more automation replacing human labor. Either the economy is going to adapt and new jobs will appear to replace the ones that were lost, or we’re going to lose jobs as these sectors go out of business, but you have to pick what you think is going to happen. Can’t argue out of both sides of your mouth. Destroying jobs with minimum wage policy is not creative when you have over 18 million African Americans locked out of full time jobs. It is racist – explicitly designed to keep people of color dependent on the welfare largess of the democrat party. I’ve been poor, poor enough to experience hunger every single week and share a bath tub with 12 other people and I’ve been rich and let me assure you – rich is better. Most people have been brought up in a philosophy of materialism so they aren’t prepared to use wealth to make themselves happy. More just means an enhanced desire for even still more. Steve Jobs had an incredible philosophy teacher in high school who both taught him Plato’s art of abstraction and Epicurus’s philosophy of simplicity. Jobs used his abstraction skills to revolutionize six different industries and applied simplicity to his personal life living on a relatively normal street without security and sleeping on a mattress without even a bed spring. He used his wealth to exert power and he used his power to pursue good – despite the fact that he had a good bit of evil in his personality. My students who are poor, don’t have computers at home. Having a computer and high speed internet costs as little as 30 dollars a month but is an asset worth truly millions. I could live in a tent without food and air conditioning because I grew up in Arizona without food and air conditioning so I know I can handle it but I would never give up the knowledge that access to the internet gives me. Your poverty data is skewed by 1) the fact that tens of millions of South Americans, locked out of jobs by minimum wages set at $2 or less per day, ghastly philosophy and corrupt economic research, moved to the US over the last 36 years; 2) the fact that hundreds of thousands of Americans are locked out of the job market by the minimum wage and 3) the effects of welfare trapping people in poverty and 4) the effects of ineffective and burdensome regulation on job creation – perhaps a $2 trillion burden. It also ignores the exodus from Cuba where the minimum wage is $.05 per hour. Poverty in America is extreme wealth worldwide. But I don’t think that’s relevant to the discussion at hand about where poverty in America compares with the Global South. The comparison in question was between the U.S. and France. Economic Theory (i.e. that evil, corrupted discipline which I study, and which, in your mind, killed millions and worsened the lives of billions more) states that as a function of wages, the labor supply curve should bend backwards; the substitution effect toward additional work as wages increases, is dominated by the income effect toward leisure at higher levels of income. It isn’t unreasonable to suggest that at some point, French society collectively and voluntarily chose to realize the fruits of their labor in the form of shorter workweeks, more paid vacation, etc. ; while Americans, through some combination of being more materialistic, more economically insecure, or a different worldview on work, chose instead to work the same, or more, and accrue more material wealth in return. Neither one is intrinsically worse than the other, but your argument seems to reduce to: “because wealth is better than less wealth, more work is better than less work, and individual choices are irrelevant” To me, it only states that Americans value material wealth above leisure, and the French tilt the other way. Now, as for regulation: I kind of like having clean air and water. I like food safety. I like that when I want to make an investment in a publicly-traded security, I have access to verified and audited information so I know what I’m getting into and can make an informed decision. I like that some person on the street can’t lie to my face, claim to be a doctor, and start treating patients without having to be certified that they are qualified to practice medicine. I like that TEP doesn’t get to arbitrarily set rates and levy monopoly power wantonly at consumers’ expense. Maybe you don’t like those things. That’s why we have a political system and (at least in theory) representative government. Do I think that every regulation is good? No; I’m sure I could find plenty of tax loopholes and special privileges baked into law which aren’t economically justifiable given an hour or three of digging into the IRS code. Of course, some of those tax loopholes are quite politically popular, like the mortgage-interest deduction for homeowners. But I’m curious now – how would you structure society in a hypothetical world where human labor is now an unnecessary component to the production of all goods and services? Note that in this world, market wages are all zero. We’ll assume that the economy is not fully post-scarcity – limitations on resources, land area, etc. still limit total output to some finite quantity. The whole point is that french choices were not voluntary – they were coerced by destructive policy of over taxation, taxation past the tipping point, taxatiothn destroyed the common goodinstead of contributing to it, taxation that destroyed three billion hours of work while the us was creating eighty sceven billion hours of work. There are several problems with your question. First, the differences we are discussing between France and the United States are not driven by cultural forces – the typical French adult worked just as much as the typical American adult in 1980. The adoption of lower levels of taxation drove the US to much greater labor utilization. It also has nothing to do with the backward bending labor supply curve shown of microeconomics fame, at least of the classical sense. That curve presupposes a linear increase in wage rates with an income effect leading to a decision to chose leisure. With France taking over 80%, the decision to chose leisure a reduction in the wagedriven by taxation, not income. Finally, you can waste time talking about a post scarcity world. It doesn’t exist. Your indifference to gdp growth would be different if you were a young girl in India scooping human feces by hand and catching field rats for dinner. What’s really at play here was observed by de Tocqueville 160 years ago. In 1980, the typical French adult worked 20.3 hours per week while the typical adult in the United States worked 20.9 hours per week – so when the supply side experiment started, it was about a dead heat. Today, the typical adult in France (OECD data) works 15.9 hrs per week while the typical adult in the US works 20.4 hours per week. So, there has been a 20 percentile point shift in propensity to work. 1. At the start of their careers, the workers in France significantly outscored US workers on TIMSS cognitive tests but by the age of 57, US workers outscore French workers by 20% (Third International Mathematics and Science Study and RAND analysis) . Higher taxes, by dulling ambition and work intensity, make you stupid. This stupidity effect has huge reverberating effects on the economy because it effects joint productivity in corporations. When people get together to work as a team, there are squaring effects on intelligence, as much 60 percentile points – this is why the US stock market has gone up 23 trillion dollars since 1980 while the French stock market is only worth 2 trillion total – less than the Trump effect since the election. 2. Higher taxes cause French workers to start work careers later, end work careers earlier, take more sick leave, be more likely to work part time jobs and pay less attention to quality of job choice (Edward Prescott, Nobel Prize winner in economics). 3. Taxes have a huge effect on underlying population dynamics. Since 1980, the population of France has increased 17% while the population of the US has increased by 41%. We can see this effect in the US currently. Last year, US population showed the slowest growth since the Great Depression. Since economic growth is roughly 2 parts population growth and 1 part productivity growth, assuming population growth is an exogenous variable, which all these models do, is a huge source of error in all these studies. 4. All of these big models: MEG (Macroeconomic growth Model) and OLG (Overlapping Generations Model) of the Joint Tax Committee in Congress; TAG ( Tax and Growth Model) of the Tax Foundation; Moody’s; Penn Wharton’s Tax Policy Simulator are loaded with these errors. That’s why all of them are in a state of disbelief that Trump added another 2 trillion to market value over and above 6.4 trillion added by the exit of Obama policies from the presidency. I don’t think we’re going to ever stop talking past one another, because it’s pretty evident we value very different things out of the economy. All of your arguments and claims have relayed back to total U.S. GDP and other aggregated figures of total productive capacity as an end in itself. I, on the other hand, see economic growth only as a means toward other measures of people’s utility, and further see that the economic growth over the last 15 years or so hasn’t really made people that much better off. I also worry about resource limitations and whether continued growth is ecologically sustainable, and if so, under what scenarios; your arguments seem to assume the position that those concerns either don’t exist, or that you do not seem to care much about them. In 1980, it took 12,000 btu (British Thermal Units, a measure of energy) to produce a dollar of gdp in the US. Today, it takes 8,000 btus. By definition, capitalism both conserves resources and seeks what people desire. You are correct, over the last 15 years we have experienced economic stagnation for particular groups of people: the poor and the uneducated. The question is why? The theory behind this website is that we haven’t been as generous as we should be with the welfare state and that we should have taxed the rich more to get this done. My plain observation is that the tax burdens on the economy hit the tipping point in the year 2000 costing Al Gore the election. From 1996 to 2000, tax burdens hit new records each year and the whole thing collapsed into stagnation in 2001. Trump is now promising to restore and enhance the Reagan tax rates and the stock market, the best predictor of our economic future is hitting amazing new records. Now, we need welfare reform and meticulous documentation of the damage that will be done by the increase in the minimum wage. But are those “higher wages” the ones they earned or the ones the law forced employers to pay? It seems to me there is a big difference. This is one of those sneaky bits of propaganda that, if accepted as read, are most misleading. The sentence implies that despite having to pay minimum wage hikes, fast-food jobs have increased and employers have trouble meeting the demand for workers, but those are two separate issues. Most jobs for fast-food workers are outside the areas where minimum wage hikes have taken place, which means the demand for workers is increasing more outside those areas than inside. We don’t know if the demand is the same inside those areas or not. That sentence was carefully constructed to sound as if minimum wage hikes have NO effect on job creation or availability. This experiment in forced wage hikes is just starting and so far the results are not as rosy as the proponents will have you believe. And of course, the answers from the left are more of the same “solutions” that will displace workers in the first place: (1) More Unions – Unions have done so well for those workers who belong to them. The Unions managed to negotiate so many of them out of a job. (2) More government jobs that produce nothing yet demand much. They are drains on the economy with job descriptions made up just to give someone a job. Great idea. (3) A higher minimum wage than the one that is already motivating employers to replace workers with AI as soon as a break-even point is reached. (4) A bigger earned income tax credit which is another drain on the economy because the government can’t give money away unless it either takes money away from someone else or it borrows money it can’t afford. and, (5) More college educations that will cause a glut of college degrees in the workforce, thus reducing the value of a degree. That is assuming that there are enough qualified students going to college to actually graduate. Let me get this straight…these non-profits are going out of business becuase of the higher wages forced on them by the recent passage of the Increased Minimum Wage Proposition, and that is fault of the State Legislature?!?!? What am I missing? Do you think, in the year 2050, that there will be enough demand for labor such that every person between, say, 18 and 65 who is physically and mentally capable of holding a position, will have a job available for them? You’ve brought up the idea that a lot of ‘jobs’ being created these days are unnecessary and unproductive, but what do you think would happen if they all disappeared overnight? I think that there are going to be some high-skill positions for very intelligent and/or talented individuals. And there will be some demand for unskilled labor, but as robotics, AI, and machinery become more advanced, I think we’ll see that number drop considerably over the next 50 years. And unfortunately, all of the partial-equilibrium economics that a typical business owner experiences in daily operations breaks down already under standard general equilibrium analysis, and it’ll be complicated further under post-scarcity GE. The standard model would suggest that as technology increases and costs fall for businesses, the economy expands and prices fall. Great. But if the decision is made to displace workers with machines over time, this will push down labor demand, and the price of labor (i.e. equilibrium market wage). Under PE, this is all well and good, but a decrease in market wages will lower market demand under GE analysis (decrease in wages is linked to a decrease in household income). The end result of this is either a deflationary spiral, or a massive transfer of wealth from labor to capital. I think we’re poised to see one or both of those in the upcoming decades. Amusingly, one stopgap solution from a pure economics (i.e. ignoring legal or ethical concerns) to this problem might be to implement a maximum workweek – make it illegal for any individual to work more than 35 hours per week and create an artificial scarcity of labor, and let wages adjust accordingly. I don’t seriously consider the idea, but throw it out as food for thought. 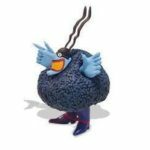 I think, American society is going to have to distance itself from its Protestant Work Ethic and the idea of tying one’s worth as a human being to one’s specialty of labor that one then sells to a capitalist (i.e. their occupation). This type of thinking deepen the Great Depression and lead to France’s stagnation over the last 36 years. France has actually lost work, a reduction of over 3 billion hours, over the last 36 years as they have shortened their workweek. By comparison, the US has added over 80 billion hours of work. Time to review Sayes law of economics. And time for you to review Keynes’s Law. Given the aggregation and accumulation of wealth among the top 0.1% over the last 35 years, Say’s Law can only hold if consumption (and debt) among the bottom 80% rises accordingly. While the Great Recession may have kicked off as a result of a banking crisis, it was the sharp downtick in consumer confidence and the deleveraging among the middle class that brought the middle class to its knees, something that would be impossible in an economy governed by Say’s Law. You have repeatedly brought up this idea that France has stagnated because it has ‘lost work’. But you have failed to prove that that is a bad thing. You seem to be arguing, so far as I can tell, from the position that growth and economic output is the only metric by which an economy or a society should be measured. That more work, no matter the type, must be good, and lack of work, must be bad. I categorically reject that assessment. We might work longer hours and our economy may have generated more hours of work, but I’m less than convinced that we’re better off for it. I don’t think that Americans, for all the additional work which has been generated, are noticeably happier than they were in 1970. If people were markedly happier and better off than they were 36 or 45 or 60 years ago, the slogan ‘Make America Great Again’ wouldn’t have been an effective political slogan. Go ahead and dispute the importance of work and job creation. See how far you go with that. Gallup did a huge worldwide poll, the one binding element worldwide, was the universal aspiration for a good job. Presidential reelection bids live or die on people’s perception as to how you performed at creating and improving jobs. It is the primary measuring stick. But, I agree with you, it shouldn’t be the only one. I’ve spent 33 years studying and putting performance systems in place in both the private sector, in education and in government agencies. If I were putting one in place for the congress, job creation would be one element – the primary one, but great happiness would be another one. Blue hyperventilates every month over the 150,000 jobs created by the economy under Obama. I’ve never seen anyone dispute him and say that those jobs are not important. Happiness is highly correlated with incomes among the poor. Try living on welfare and visualize how that makes you feel about yourself. I know someone like that, who is hugely underperforming his potential in life. His mother is constantly worried about suicide. He lives in a state of depression. The nature of economics is one of the three great academic frauds of the 21st century. When Reagan reduced tax rates from 72% to 28%, it set the United States on a different growth arc from the rest of the world. While France lost over 3 billion hours of work, the US gained 87 billion hours of work. In 1980, the countries of the European Union had a gross domestic product 35% higher than the US, today they have a gdp 20% lower. An entire industry of academics works at falsely convincing people that the response to those lower tax rates was inelastic. This body of work doesn’t pass the laugh test when you look at the data. Job creation, gdp growth, tax revenue growth – the elasticity was huge. Trump is promising to restore and even enhance the Reagan tax rates and the stock markets are saying that the future is brighter relative to the present than ever before in history. And, he hasn’t even done it yet, so it has to be incorporating some probability of failure with the opposition of even republicans. You are correct, happiness is pretty strongly correlated with income up to about a household income of $75,000; after that, other factors start becoming more important and the correlation drops off. Are people aspiring for higher incomes, to feel productive, or to engage in the transactional process of exchanging labor for goods and services? I feel that very few people, if given the choice, would choose to be required to perform labor in order to have one’s basic necessities provided for. This is the central idea of economic exploitation as covered in Marxist thought. Granted, I think a lot of people would want to force that condition on others, so maybe I’m wrong on that, and will admit that I’m uncertain. I myself would be a lot happier if I could spend my time and energy focusing on pursuits other than what the economy considers valuable in terms of wages. Maybe I’m different than other people in that respect, though, but I would enjoy the idea of having a basic income of, say, $15,000 per year, and being able to work for additional income as I saw fit, part time, on my own terms, rather than be dependent on an employer to provide even basic subsistence. Also, I think it’s pretty amusing how you rail about supply-side economics and bring up Say’s law, yet point to the largest Keynesian stimulus package since the Great Depression – Reagan’s tax cuts and increases in military spending, combined with the end of the oil embargo – as justification for your economic policies. Either Obama’s budget is going to bankrupt the economy or Ronnie Reagan Proved Deficits Don’t Matter, but you have to choose one. Bringing back coal jobs is not a cruel hoax at all. First, we have to reestablish science in evaluation of climate change. At some point, there will be a realization that CO2 is a tremendous asset in the air, increasing the growth of rate of food crops and trees by 30% and arable land by 10% over the next century – without any of the negative effects. Then, the demands for energy by China, India and South America take over. All you have to do is look at the historical ratio of coal and oil to gold to see where those prices would quickly move.